This is a guest post by Brandon Bowman. He is a Fiji, and he recently graduated from Western Kentucky University. We are excited for him to share his insight with us in a series of articles. Use your homepage to showcase your most recent stories and accomplishments. A blog style format makes learning about your chapter and what you do easy. Talk about recruitment and pledge education. Explain how they work, what to expect, when events occur, etc. Be transparent. And include your fraternity’s contact information. Show your values. Listing and explaining them is a good first step, but show recruits you put words to action. Have sections about philanthropy and community service, academics, campus involvement, leadership, and brotherhood. If an alum or advisor can share his endorsement on the web site, all the better. The goal is to be clear about who you are and what you do. Tip: The chapter web site, when done correctly, looks professional. If no one in the chapter can create or maintain a web site of quality, find someone on campus or in your community who can help. This might be a professor, peer, alum, brother in another chapter, or another Greek on campus. On Facebook, you may have a Fan Page or Group for your chapter. Whichever you choose, the chapter Facebook should do everything described above. Share photos, stories, and tag people in posts. Comment. Most importantly, use the same group every semester. People add to the page over time, so the value and usefulness for recruits will increase. Don’t make a different event/page/group each time. If you do, you have to recreate the value all over again. It’s a hassle your brothers and supporters don’t want to go through. Other social media can be a useful platform for sharing anything about your brotherhood. 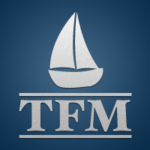 Videos about anything fraternity can go on YouTube, Vimeo and your Facebook page. (Shout out to the recruitment video posted by Kappa Kappa Gamma at Baylor University!) Photos of your events can go on Flickr. Twitter can be used to say anything short. Or innovate! Connect with recruits in a fresh way. Why it’s important. Recruits are going to look online. Instead of letting them wander until they find something, it’s best you give them a specific place to go where your chapter is telling the story. In the end, choose one place you can continually commit to develop the most, and let that one place be a hub of links for visitors to find all of the other places you may be online. You can also add your headquarters’ stuff too. They may even have a recruitment-specific web site (like joinato.org). What are some great examples of chapter web sites you’ve seen? What other ways fraternity’s can innovate? 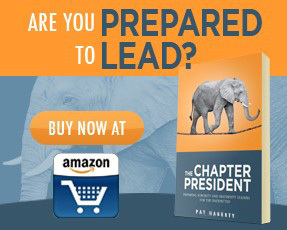 I agree with the internet article, a web site can be an inviting front door for your chapter. But I would add that if the web site is not kept current, it can become a negative. then your lawn has weeds. Better the site should be rather thin with a house picture, address, contact information, and brief history of national and local. It wont make the best first impression, but it wont make people wonder if the sharp brothers have all graduated or where the enthusiasm has gone. Stephen, whoa! And before I even get to replying, thanks, especially for your openness. Hearing a fraternity man say, “We welcome your observations to ____,” is such a mature and transparent statement. Is there a more colloquial way to say that? because if so, we’ve found the jackpot. not kidding. Not so much along the lines of inviting feedback/constructive criticism, though that certainly would be good. But what if parents of pledges got a letter that said, “We welcome you to see for yourself.” But not just see. The idea is that you’re welcoming them in to the house and to be around you in order to test their preconceived notions. That you are a chapter ready and comfortable to be inspected. “Come and see for yourself,” kind of idea. I get sidetracked. But seriously. If anyone can spitball ideas with me about this, I wanna hear. I think your last bit of recruitment advice is so unique. I’ve never heard that before. Do you have any stories? Can you share about how your chapter does these or how those ideas began? This kind of dedication to a ‘return to fraternity’–where did it come from? You sound like a chapter that has all of its stuff together. So, I want to see that on the website. And here’s where I do see it. It looks good. Great, in fact. But here’s where I don’t see it though. I didn’t find navigating the site intuitive. That was the biggest issue, most certainly. For example, “Home” means home. And when I hovered over Home, I saw something that I didn’t bother to click on because it didn’t resonate with me. I asked myself, “Why are those names there?” A detailed history is good, and should be available on the site. But most everyone will just want to get a feel for where the chapter has come from. I’d advise you to call this an “About Us.” I want a history told from today’s perspective. It should have somewhat of a feel of “this is what our history means to me.” Start from scratch, and include the major points. Recent history is most significant. Another reason it didn’t feel intuitive. I had to ask myself, “Who is supposed to be reading this?” Or, “Is this information going to apply to me?” That hesitation causes me not to click on it altogether. (SigEp Scholars; Sound Body, Sound Mind). Titles should convey what I’m going to learn, not some spiffy sounding thing. “Becoming a Member” — I know exactly what I’m going to find. “The SigEp Difference.” Yeh, sure. But you said it better on your first page. “This Fraternity is Different.” Sound conversational everywhere on your website. Get rid of that dollar sign in $upporting. Heck, I don’t want to give, I’m definitely not clicking there. But imagine if I clicked there, and the very last thing they did was ask for money. Instead, they listed 10 different ways I could help. You could mention visiting the house, mentoring members, anything. Mention your philanthropy and link to those charities. Then ask for money. Quick tips: 1) ALWAYS give headings if paragraphs even look long. They might skip just a section instead of the whole page altogether. 2) Use the word “Chapter” and refer to “Our chapter” more often. It’ll look more authentic. If you just say “SigEp,” I might say, “yes, they claim that, but…” If I see “Our chapter did ____,” then I’m inclined to believe it. Put things where they belong. I truly believe that a homepage should be a “LOOK AT WHAT WE’VE BEEN DOING!” It really should be that bold. If you want a “Spotlight,” then choose anything random—and change it every few weeks. Brendon, Great suggestions here! Chapters need to identify their respective hot button (carrot) to get recruits to respond to the media your chapter uses. Our website does this by providing information to prospective recruits by “dangling the “carrot” of our Balanced Man SCHOLARSHIP. It is indeed a free scholarship. We go one step further, as a Balanced Man Chapter of Sigma Phi Epsilon; a recruit DOESN’T have an obligation to join in accepting one of four scholarships we offer to first-year men. 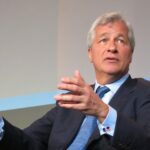 We welcome your observations to our website http://www.monmouthsigep.com. We have engaged the services of ChapterSpot.com. This vendor works exclusively with sororities and fraternities (free endorsement here, I don’t work for them) and has been a marvelous help to us in creating our web site intended on providing important communication and building dialogue with recruits, parents, our alumni, and undergraduate chapter. Tell us your thoughts! I’ll share an idea every chapter could benefit from by including one of these suggestions in your recruitment arsenal. –Utilize your chapter athletes to learn who are (recruiting) coaches at your college and university; ask them about their best and brightest. –Does your chapter have members with ties with (or are in positions of) Head Resident and RA staff members in the residence halls to help you identify top notch people? –Is your VP for Recruitment acquainted with the Director of Admissions to set a spring meeting with Admission staff in the various colleges (if university) to identify their brightest recruits they worked with? They may know of legacies, they have parents ask about Greek Life, is your chapter represented or talked about favorably? As in not known for drinking but academics? Admissions counselors might be willing to carry your chapter’s business card to call you should they need help with hosting prospective students or calling/meeting parents regarding Greek Life. We are a community of Greeks, Let’s get the frat boy (sorority chick) image behind us.